26th January indicates Australia Day, a day off, a long weekend full of beaches, barbies, drinks, games, fireworks and concerts. During community events and reenactments, citizenship and awards ceremonies take place along with Australian of the Year. It officially marks the landing of the First Fleet in 1788. I don't recall thisduring history lessons at school but apparently they saw it necessary to go and form a penal colony in the then, New Holland, after the loss of the Thirteen Colonies in North America. So Australia got all the convicts (yes, I descend from one)! Haa haa haa. Anyway I'm not giving a full history lesson today. 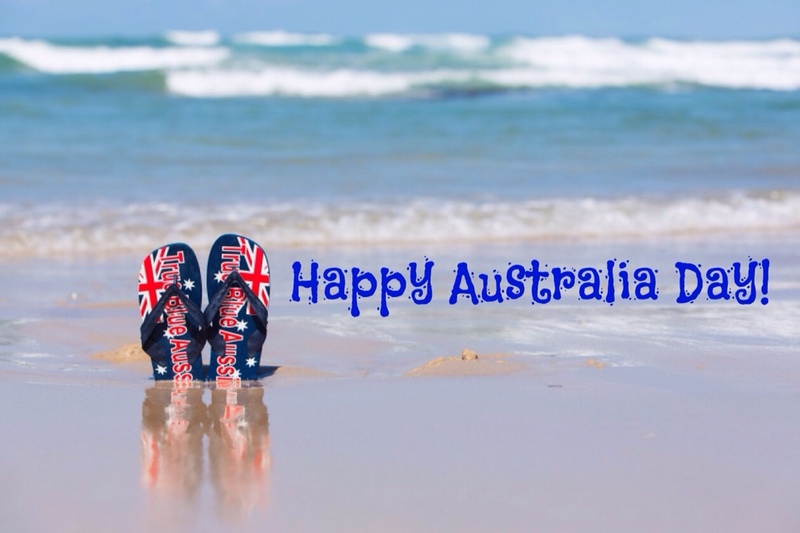 Whatever you decide to do for Australia Day, I hope it's a good one and let me know who gets Australian of the Year. Cheers big ears! Onya mate! Break out the esky, thongs and the terry towelling hat! Throw another shrimp on the barbie and have a lamb cutlet! This entry was posted in Lifes a Dance, Love My Life and tagged Australia, awards, family, friends, kids, world heritage. Bookmark the permalink.